Why Pros On Call Is Your First Choice For 24-Hour Locksmiths In Harlingen, TX! Have you ever required rapid locksmith services on demand? Every day, households and businesses sustain unexpected accidental situations involving locks. Whether your new residential digital “keyless” entry system malfunctioned, you are locked out of your car at the Valley International Airport, or you misplaced an office key and cannot access your business premises, a lock-related emergency causes inconvenience and anxiety. Whenever you need fast, dependable 24-hour locksmiths in Harlingen, Texas area, don’t panic: simply contact Pros On Call. We’ll respond to your request for assistance at any hour of the day or night within 30 minutes (or less)! Have you ever required rapid locksmith services on demand? Every day, households and businesses sustain unexpected accidental situations involving locks. Whether your new residential digital “keyless” entry system malfunctioned, you are locked out of your car at the Valley International Airport, or you misplaced an office key and cannot access your business premises, a lock-related emergency causes inconvenience and anxiety. Harlingen today serves as an important commercial hub in South Texas. Our vibrant community grew rapidly in size during the WWII era. We currently maintain a population of nearly 75,000! 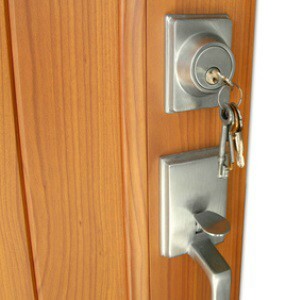 Lockout Solutions: Did you accidentally become locked out of your motor vehicle, your home or your business? We’ll help you regain entry rapidly. We can even cut duplicate keys on the spot. Rekeying Services: In some situations, we can help customers save money by rekeying certain tumbler locks to work with new keys. Access Control Systems: Ask us to install or repair an access control security system in your home or business. Keyless Entry: We’ll troubleshoot new high tech “keyless” entry systems. Door Closers: We install and repair automatic door closers. Magnetic Locks: Do you require help installing or maintaining magnetic doors? Call us! Key Extractions: Call us to extract broken or jammed keys! Panic Bar Installation: Ask us to install panic bars to provide rapid egress from your business or home. Lock Upgrades: We help customers upgrade lock security by installing new high-grade security locks, deadbolts, peepholes and master key systems. We hope you’ll choose Pros On Call whenever you seek a skilled, honest local locksmith in the Harlingen, Texas area. We offer a full spectrum of services: emergency, automotive, residential and commercial. With experienced, well-trained technicians and ultra-fast response times, our company furnishes outstanding value to customers. Call us to obtain reliable mobile locksmith assistance! 24-Hour Locksmiths In Harlingen TX https://prosoncall.com/texas-locksmith/harlingen/ 3.9/5 based upon 31 reviews.